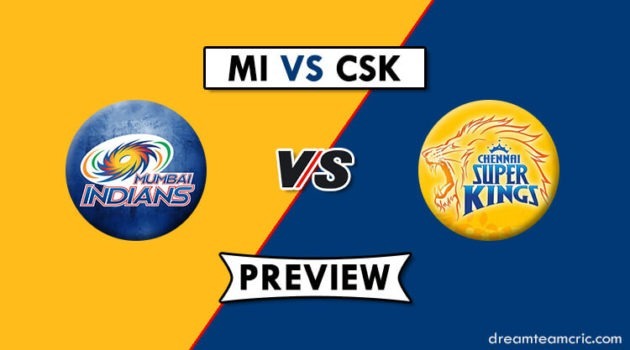 Hello and Welcome to our preview for Khulna Titans vs Rajshahi Kings match. 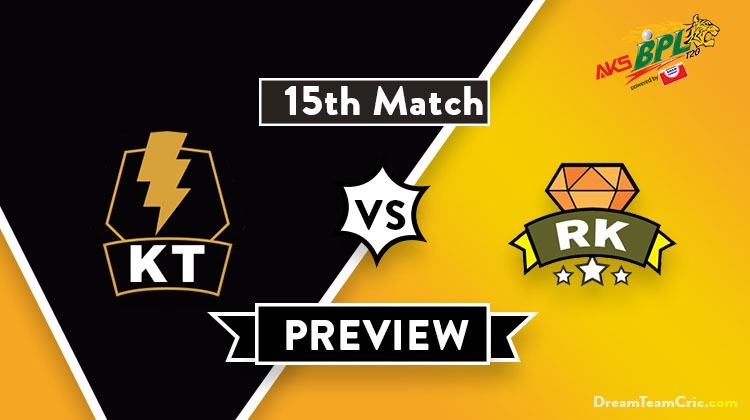 We are covering KT vs RK Dream11 Team Prediction, Preview and Probable Playing XI for the Bangladesh Premier League 2019 match. The match is to be played at Sylhet International Cricket Stadium. Khulna Titans have got a very poor start to the season and have lost all four of their matches. They lost their last match to Chittagong Vikings in super over. Batting first, Titans scored 151 runs with Malan and Mahmudullah being top scorers for their 45 and 33 run knock. In defense, Brathwaite and Shariful Islam took two wickets each and were supported by an economical spell from Junaid and Taijul Islam to tie the scores. Junaid restricted Vikings on 12 run but failed to chase the score leading to another loss for them. They will hope to balance their previous loss to Kings earlier this season and open their account or else it will be too late for them. Rajshahi Kings are fifth on the points table with two wins and two losses. They won their last match against Rangpur Riders by 5 runs. Batting first, Zakir Hasan played an unbeaten knock of 42 runs and was supported by M Hafeez to lead the team to a total of 135. Their bowlers were good in the defense and ensured a 5-run win for the team. Hafeez and Kamrul Islam were the top performers taking two wickets each. They will hope to continue the winning momentum ahead. KT vs RK, 15th match, Bangladesh Premier League 2019. Sylhet International Cricket Stadium, Sylhet. Mahmudullah Riyad, Ariful Haque, Nazmul Hossain Shanto, Carlos Brathwaite, Dawid Malan, Ali Khan, Jahurul Islam, Shariful Islam, Taijul Islam, Mohammad Al-Amin, Zahir Khan, Subashis Roy, Junaid Siddique, Tanvir Islam, Mahidul Islam Ankan, Lasith Malinga, Yasir Shah, Brendan Taylor, Paul Stirling, David Wiese. Lasith Malinga has joined the squad and can replace Junaid Khan in the playing XI. Mahmudullah faced a slight injury during training but later batted for a long time in the nets. Paul Stirling and Junaid Siddique will open the innings. Dawid Malan, Mahmudullah, Nazmul Hossain Shanto and Ariful Haque will follow them. C Braithwaite will play the role of an allrounder. Carlos Brathwaite, Junaid/Malinga and Shariful Islam will lead the pace attack along with Ariful Haque while Taijul Islam and Mahmudullah will be the key spinners. Paul Stirling and David Malan can support them. Seekkuge Prasanna has joined Rajshahi Kings squad and can play tomorrow’s encounter. Mohammad Hafeez won’t play. His replacement are yet to fix. Seekkuge Prasanna or Qais Ahmed can replace Hafeez in playing XI. Mehidy Hasan and Mominul Haque will open the innings. Soumya Sarkar, Laurie Evans, Zakir Hasan and Ryan Ten Doeschate will follow them. Isuru Udana, Mustafizur Rahman and Kamrul Islam will be the key pacers while Mehidy Hasan and Arafat Sunny will lead the spin attack. Soumya Sarkar and Ryan Ten Doeschate can bowl few overs of medium pace. Paul Stirling, Junaid Siddique, Dawid Malan, Mahmudullah (C), Carlos Brathwaite, Nazmul Hossain Shanto, Ariful Haque, M Islam Ankon (wk), Taijul Islam, Shariful Islam, Lasith Malinga/Junaid Khan. Mominul Haque, Mehidy Hasan (c), Soumya Sarkar, Laurie Evans, Zakir Hasan (wk), Ryan Ten Doeschate, Seekkuge Prasanna/Qais Ahmed, Isuru Udana, Arafat Sunny, Kamrul Islam, Mustafizur Rahman. Captain and Vc choices: Mehidy Hasan, Mahmudullah, Mustafizur Rahman, Paul Stirling, Carlos Brathwaite. 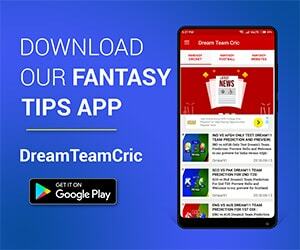 If you liked KT vs RK Dream11 team prediction, then follow us on Twitter for Latest Cricket News and Grand League Teams.